So we jumped the fence at the lookout, and followed a rough pad between rocks and stunted trees. It led downhill to a small saddle, where we turned left and began a steep descent to the river. 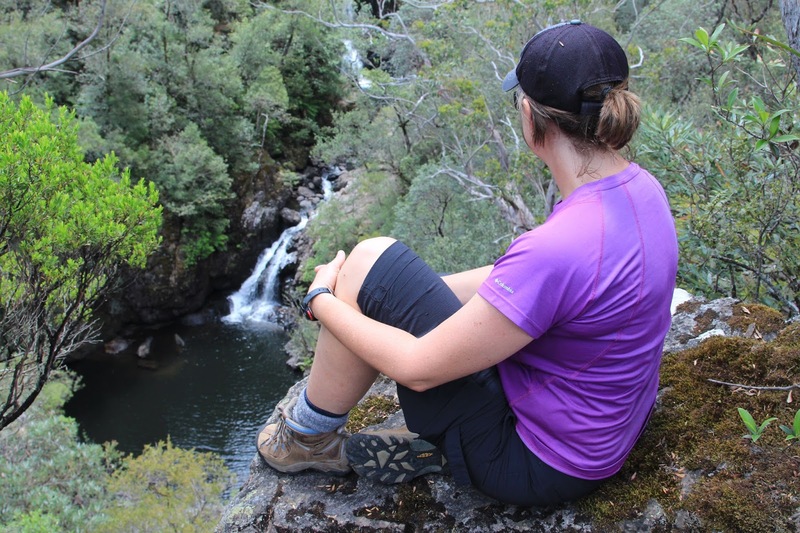 It is not the sort of behaviour we should probably mention here, or promote by making public on the blog; this breaking of rules and jumping of fences in a national park. But there's a lot of fences in the world these days, and from past experience we knew that beyond this one was a hidden gem of a waterfall. It was a good 45 minutes of weaving our way through the rainforest scrub to get to the river below; scraping past prickly ferns, clambering down tree roots and dodging vines. Where the river was met, it was still another 10 minutes of tricky, slippery climbing over boulders and around pools to the bottom of the un-named waterfall that was the object of our mission. The structure and placement of the waterfall are its attraction. It is narrow as a coin slot. 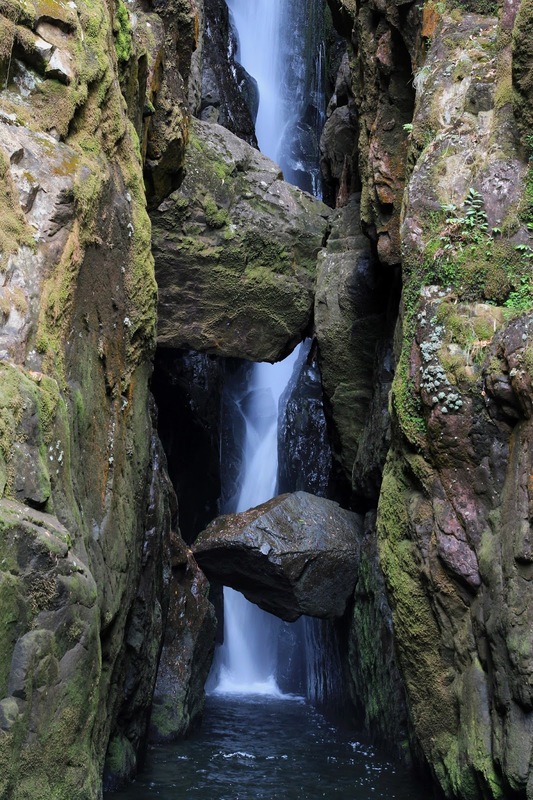 A chockstones, balanced neatly near the bottom of the fall, is a remarkable piece of natural engineering. Sitting in the shadowed cold of the deep, narrow gorge we tried to come up with possible names for the waterfall – Hard to See Falls, Disappearing Falls, Hourglass Falls. The names felt clunky and forced so we left the place to itself and its anonymity and clambered upstream to explore Gloucester Falls. 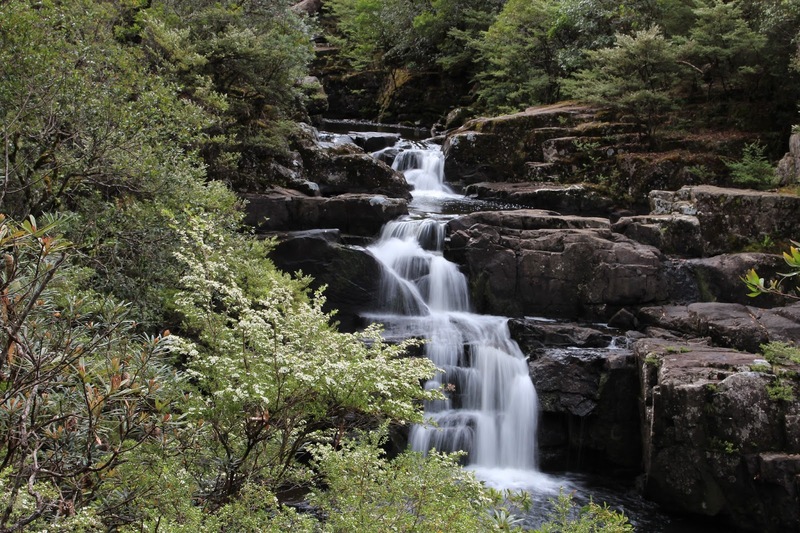 This pretty, and photographic, section of the Gloucester River is not just one waterfall but actually a series of stepped cascades and longer drops. It is located in the Gloucester Tops section of Barrington Tops National Park in NSW: a bit of a poor cousin to the more well-known and popular areas of the Barrington Tops like Polblue, Careys Peak and The Corker but still full of beauty - waterfalls and tall forests; Antarctic beech and rainforest gullies. There is a network of short walking tracks at Gloucester Tops and we combined them all to make a 7km loop walk that took us along the River Track across to the Antarctic Beech Forest Track, then across the Link Track to the Andrew Laurie Lookout, and on to the Gloucester Falls Track, then back along the river to the Upper Gloucester River Picnic Area. This track took us past a deep still pool that looked like a good platypus home. The River Track didn’t stay by the river for long but meandered through alpine forest and across a gully where we saw plenty of fresh wombat poo. We set out early in the morning and as I walked out front, I broke the night's spider webs, which told me we were the first to take this path for a while. The cobwebs trailed across my face and arms in invisible, dew-wet threads and I had to stop to wipe my hands along my skin and across my face, like a ritual washing without water before prayer. The River Track "ends" at the main dirt road. Across the other side, the Antarctic Beech Forest Track begins. 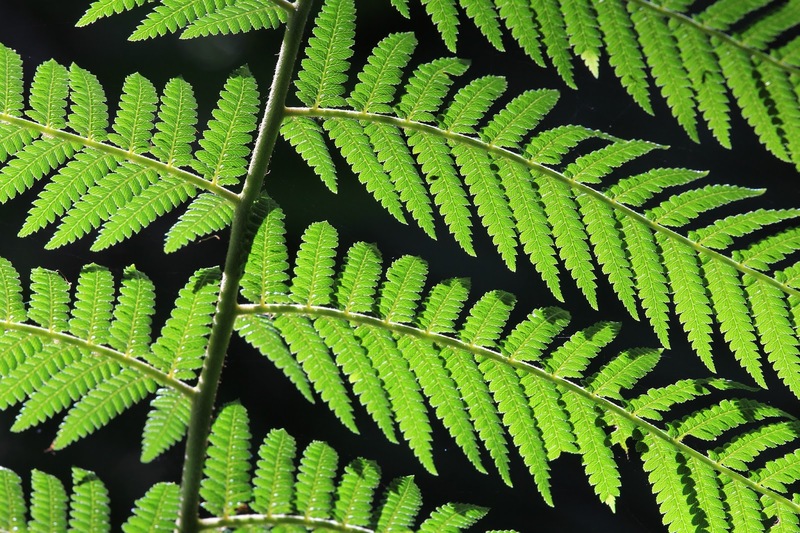 We had to use our imagination a bit because things were so dry the usually vibrant rainforest lacked its bright green hues – the mosses were quite pale, the tree ferns had thick brown skirts of dead fronds. Some of the beech trees were huge, with furrowed bases and straight, tall trunks. Where the forest changed to alpine grass and snow gums we turned left onto the Link Track. Halfway along, we stopped for a quick rest amidst the cut grass and shrubs. The birds joined us – small brown birds, the scrubwrens, and something else, flitted within arms reach, curious perhaps. The Link Track ended where we joined the Gloucester Falls track and turned left to head out to the Andrew Laurie Lookout. There is a fenced off lookout and then the track heads back upstream past a series of pretty cascades and swimming holes. Just 100m or so along, a well-worn footpad drops down to the river and the warm, flat rocks bathed in morning sunshine. Loads of water skinks lay basking on the dark stone. They were a coppery brown with a distinct wide black mottled stripe along each side and they disappeared into cracks and under ledges with lightning bursts of speed. There was a lot of ti-tree flowering and shrubs with bright red shoots at the end of their branches. Plenty of crimson rosellas too, in the tops of the gum trees. This was a summer trip and it was 10am when we reached these dark, inviting pools. Caz went first, sliding into the dark water with amazing quietness for it was particularly freezing. We swam just 5m across the small pool, stood on a ledge of rock on the far bank, then swum back to our clothes, skin tingling from the cold. Short, but refreshing. 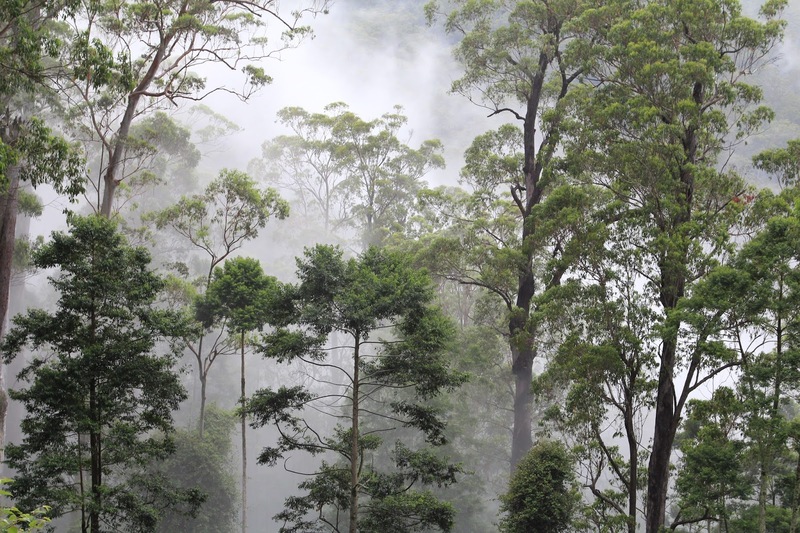 Even the drive in to the high parts of Gloucester Tops is worth the effort – across more than half a dozen causeways and then up high the road winds through towering messmates and brown barrel with an understorey of thick tree ferns. 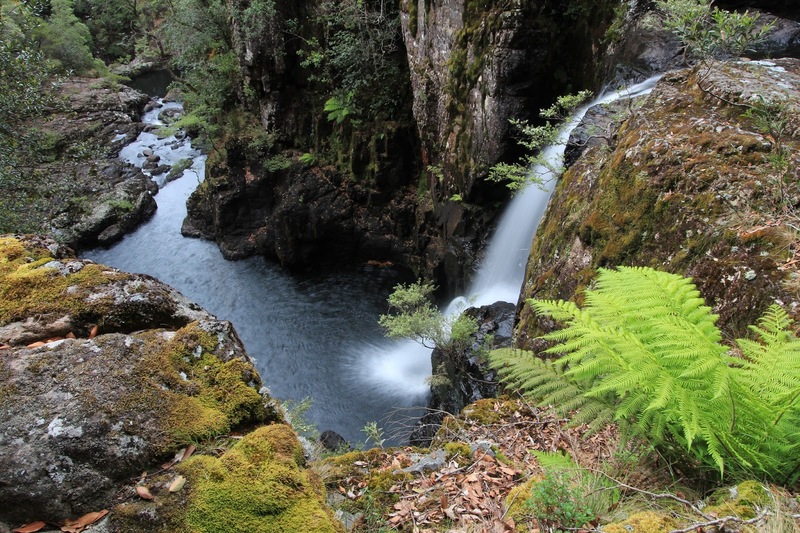 There are two short walks near the large and grassy Gloucester River Campground. There is also the Link Trail (not to be confused with our short Link Track) that leads from Gloucester Tops to Careys Peak. It is 19km one-way. 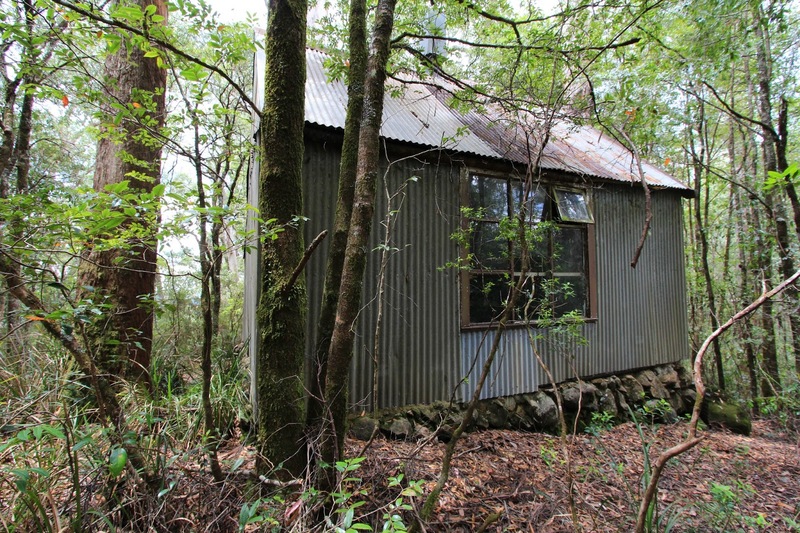 If you have some local knowledge, the Newcastle Bushwalking Club has a hut in the Gloucester Tops section of the park. 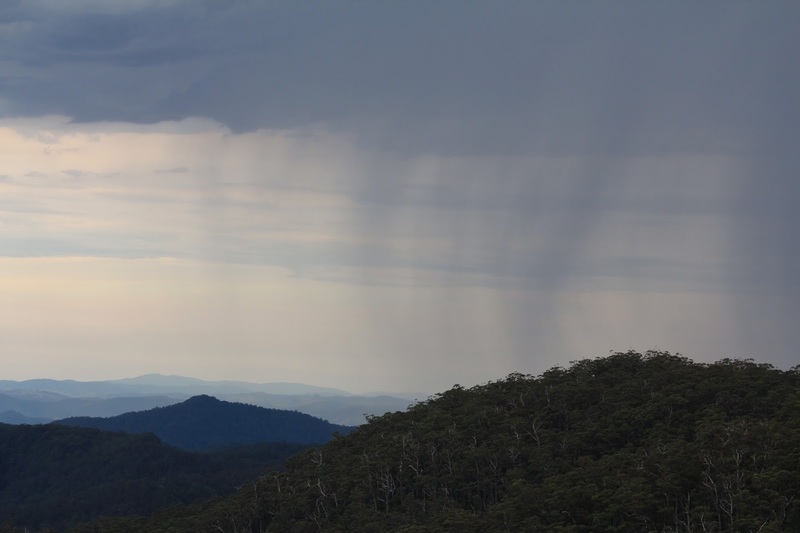 The Arthur Munro Hut gave us shelter from a wild summer storm and it gave us a dark, deep night on the high bunk beds as lightning and thunder cracked and rumbled through the thick forest - sending thin ribbons of light creeping into our sleep. 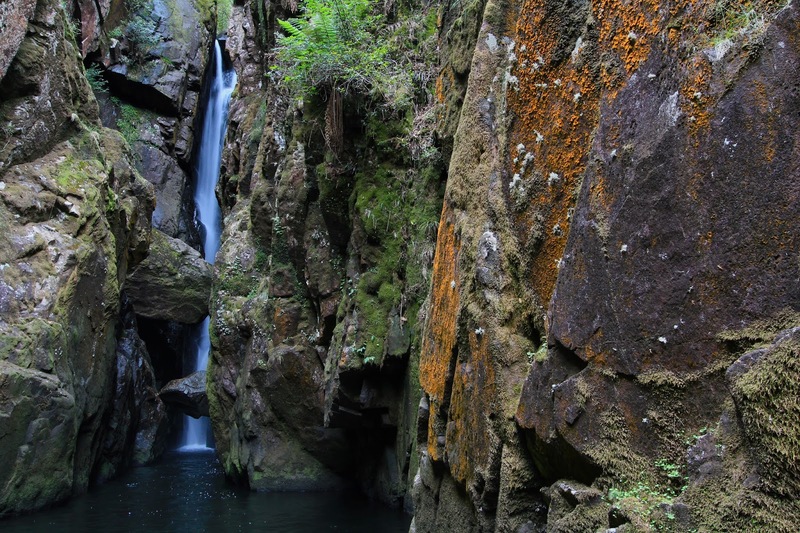 Caz could add to this blog, with stories of canyoning adventures he has had in his youth, following the Gloucester River downstream from the falls: swimming, rock hopping and rappelling a few falls, then walking out down the bottom at the campground. And there is Greg Powell's classic story (found in his book Bushwalks in the Hunter Valley) about his of adventure leading a group of scouts upriver from the campground, becoming benighted and sheltering something like 14 boys in a single, huge hollow log. 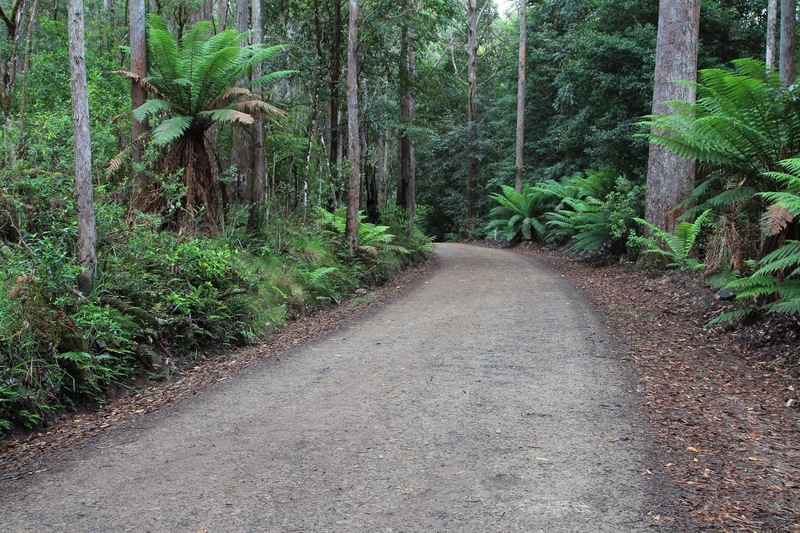 There are other firetrails branching out from Gloucester Tops as well – The Mountaineer-Glowang Trail passing Mount Nelson and The Pinnacle from Wangat Road. You don't even have to break the rules, or jump any fences, for these ones. Dear Craig and Christina, there are six abseils on the Gloucester - your photo is of the slot - 35 metres - it can be done in one long day and then back up a ridge back to the carpark - abseil five is the most spectacular as you drop into a dark hole and cave behind the 40 metre waterfall - then a chockstone jump to progress further - the 10-20mm canon wide angle lens captures it beautifully - I have a 70D also - you have lots of great photos - have you been to the Paterson Gorge which is also in the Barrington tops ? Any chance on more direct instructions to this waterfall?? 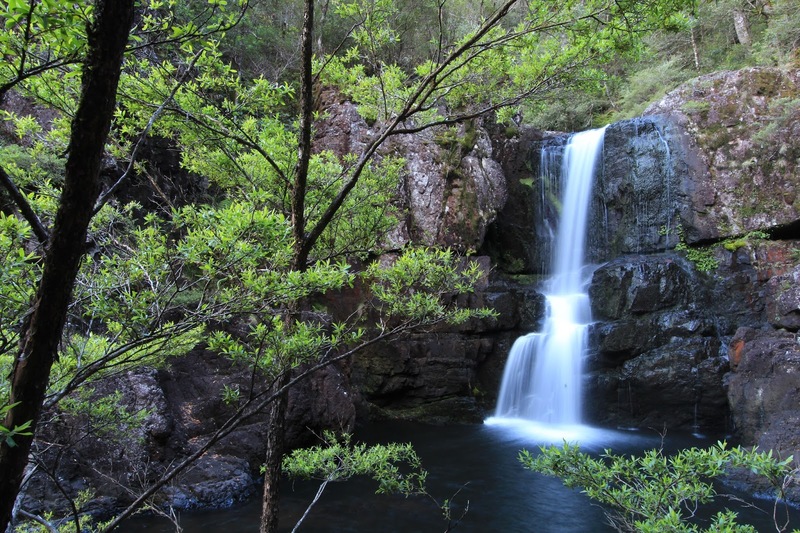 Getting to Gloucester Falls is easy, visit the national parks website for directions and track details. Check out the canyon video above for a more extreme adventure. For anything else, follow your nose and dig deep for your hidden sense of adventure and your explorers instinct - a Gloucester Tops 1:25000 topographical map is also a hand accessory. Have fun! Hi there unknown. Unfortunately we still haven't managed to explore Patterson Gorge. Try getting a hold of Greg Powell's great little book, Bushwalks in the Hunter Valley (out of print now but available in libraries).